Would you challenge Prof Myburgh? If you’ve been following SMACC, you will have seen Prof Myburgh’s superb talk on catecholamines. 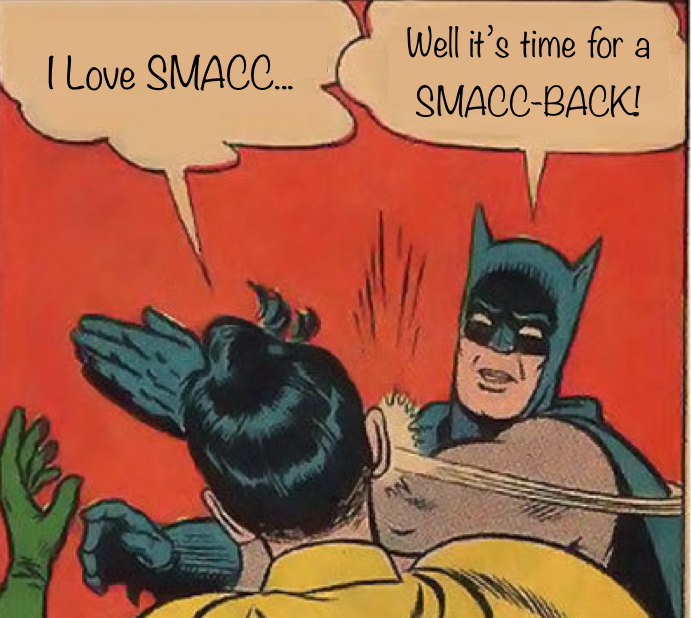 Scott Weingart has taken the phenomenon one step further by giving a “SMACC-Back” podcast reply to encourage further debate and discussion after John’s lecture. Go to EMCRIT, subscrtibe to his podcast, and join in the discussion that Scott has ignited!